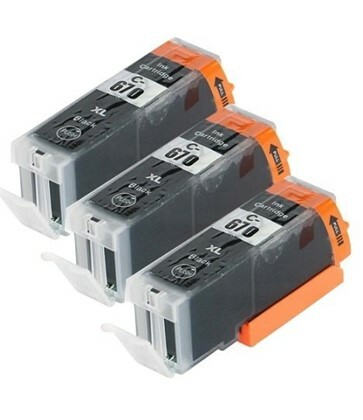 3 x PGI670XL Hi Capacity Compatible Black Inks for the above Canon printers. Yield is approx. 500 pages each cartridge (1500 total). Note: For the other inks in this series please see "Related Products".